Is a single channel high energy UV integrating radiometer. 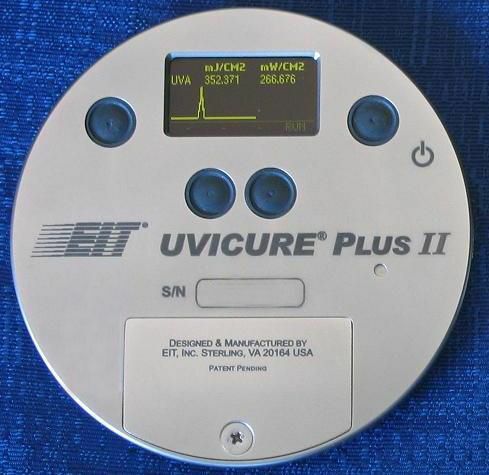 The Uvicure Plus measures both peak output watts per cm2 and UV total dosage in joules/cm2. For use in establishing optimum curing energy in UV curing applications.